We proudly provide industry-leading electrical engineering services in the Toronto area. Electrical engineering is a field of engineering that specifically deals with electricity, electromagnetics, and electronics. At Belanger Engineering, we proudly provide industry-leading electrical engineering services in the Toronto, Ontario area, and we are here to supervise all aspects of your next project with excellence. Our goal is to ensure your building is safe, reliable, and consistently equipped with power. 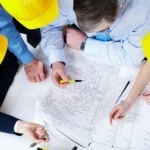 As an engineering firm, there are several key electrical engineering services we provide. For example, we do power system designs and upgrades, so if your project lends itself to a challenging electrical design, we can help. We also can help you enhance your location’s workplace safety, perform a power system analytical study, and assess your power system for any issues. We realize that when you turn to us for electrical engineering services, you expect superior service, a project managed with excellence, and an overall positive experience with our team. We guarantee to deliver on all of these fronts and promise a final outcome that exceeds your objectives and remains within the pre-determined guidelines of your budget. At Belanger Engineering, we would be more than happy to give you further information about our electrical engineering services and what they include. Please contact us today to speak with one of our representatives about the scope of your project and how we can assist you. We look forward to hearing from you and to providing exceptional solutions right from the very start! At Belanger Engineering, we offer electrical engineering services in Toronto, GTA, Mississauga, Markham, and Ajax, Ontario.